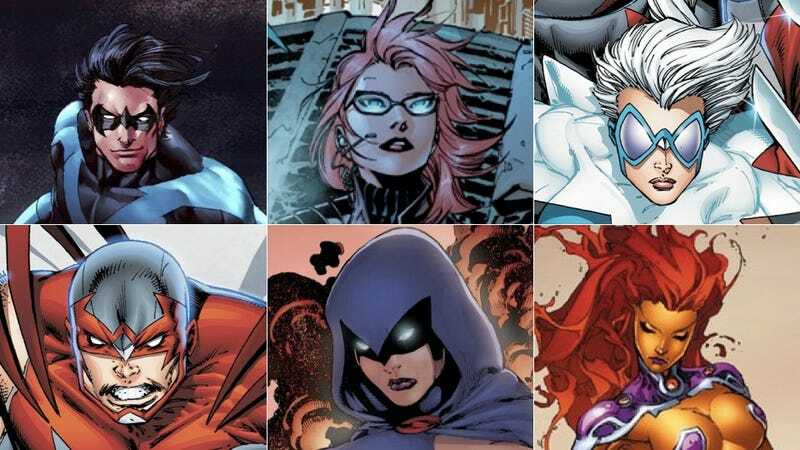 The titular Teen Titans of the upcoming Titans TV series may have been revealed, and, if they are legitimate, it's kind of a shock. Of the six members, only two are men — and most importantly, one of female members is Barbara Gordon, back in her role as Oracle! According to The Nerdist, Hawk and Dove will be the more recent New 52 version, which is to say Hawk will be Hank Hall, while Dove will be the reasonably new DC character Dawn Granger. Apparently they'll have a romantic relationship in the show, and have very different outfits from their comic counterparts, neither of which should be that shocking. Their classic outfits would look terrible on TV. Hell, they don't look particularly good in the comics anymore. Please note that since this is based only on the pilot, there could be more main characters/Titans added throughout the first season, such as Beast Boy or Cyborg, in case you're bemoaning their absence. But who knows? Heck, we don't even know if this will make it to series, but this is still a pretty intriguing cast. On the one hand, I have a hard time understanding how a weekly TV series will be able to afford special effects for all the characters, four of which can fly. On the other, MOAR ORACLE PLZ.